Posted on December 27th, 2018 at 12:44 pm. In 1983, Utah was the first state to lower the level of blood alcohol content that would qualify for a DUI arrest when they went from .10 to .08. Then Oregon followed suit. Now we’re poised to follow Utah again as the second state to reduce the DUI limit even further to .05. Posted on November 7th, 2018 at 2:37 pm. Posted on November 7th, 2018 at 7:56 am. Posted on October 11th, 2018 at 9:49 am. 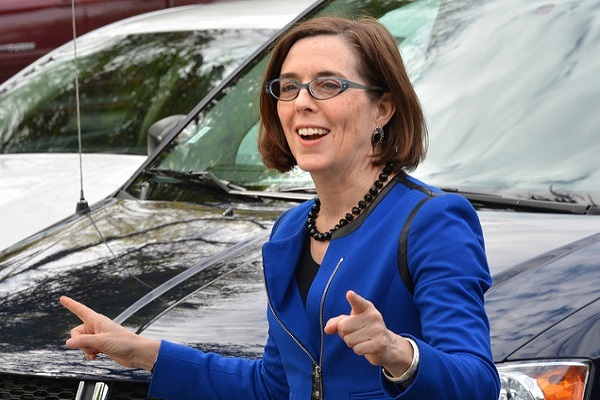 What is Kate Brown’s transportation vision? This post comes from BikePortland subscriber and contributor Kiel Johnson. He previously wrote about his grassroots effort to garner neighborhood support for the Lloyd to Woodlawn Neighborhood Greenway project. In the latest Oregon Governor’s race poll Kate Brown is ahead by 4% with a margin of error of 5%. There have been alarms going off that Governor Brown is in trouble and many commentators are pointing to a lack of a compelling vision. Last year she helped push through HB 2017, one of the largest transportation budgets in Oregon’s history. Yet this additional money is not doing her many favors for saving her job. She has hardly mentioned her victory on the campaign trail. As people who spend time reading about the importance of transportation, it is crucial for us to figure out why transportation is not a topic of interest in this race. Posted on August 29th, 2018 at 4:13 pm. Hardesty (left) via Twitter bio image; Harrington image by Jonathan Maus/BikePortland. Since their start in 1990, the local nonprofit advocacy group The Street Trust (formerly known as The Bicycle Transportation Alliance) was prohibited by law from endorsing candidates for elected office. That changed earlier this year when they announced the formation of a spin-off 501(c)4 entity known as the Street Trust Action Fund. Posted on August 8th, 2018 at 10:03 am. Commissioner Eudaly spoke at the launch of Adaptive Biketown, a program she pushed for, in July 2017. 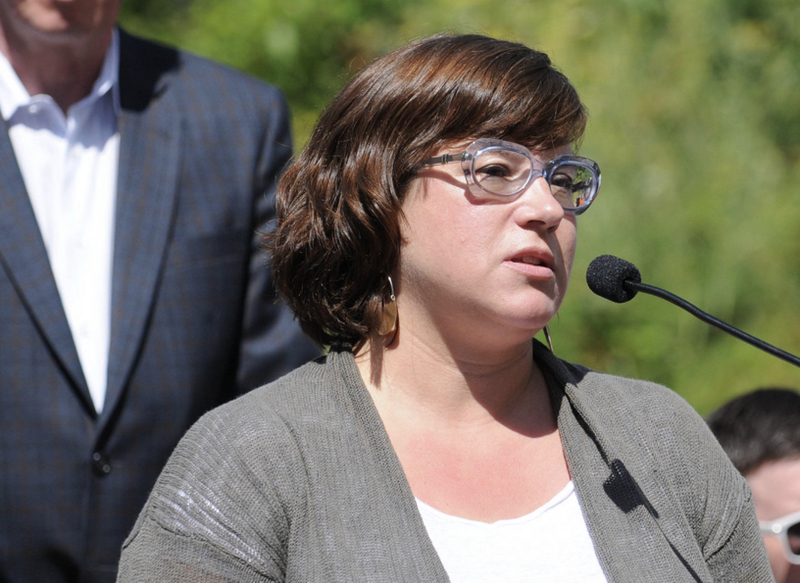 Portland Mayor Ted Wheeler has chosen City Commissioner Chloe Eudaly to oversee the transportation bureau. Eudaly’s office confirmed the news to us yesterday after a “major bureau shakeup” was reported by The Oregonian. She’ll take over the agency from outgoing commissioner Dan Saltzman. Eudaly is a relative newcomer to City Hall who unseated Steve Novick in a runoff election in 2016. A former bookstore owner and activist who has lived in Portland since 1988, Eudaly will take the reins of an agency with 850 employees and an annual budget of around $320 million. PBOT will be the largest bureau in her portfolio by far. With Wheeler taking over her current assignment of the Bureau of Development Services, the only other agency in Eudaly’s portfolio is the Office of Community and Civic Life (formerly the Office of Neighborhood Involvement). Posted on June 26th, 2018 at 1:59 pm. Posted on May 16th, 2018 at 9:05 am. Shemia Fagan, Jo Ann Hardesty and Lynn Peterson. “Portland’s future is female,” reads the headline of the Portland Mercury after last night’s primary election. In local, regional, and statewide offices, Portland voters made it clear last night they want strong leaders with new ideas and different approaches to solving our problems. And it just so happens many of them are women. Posted on April 29th, 2018 at 4:58 pm. Cynthia Fisher, Jo Ann Hardesty (center), and Tony Jordan. Tony Jordan is a long-time BikePortland reader and founder of Portlanders for Parking Reform. I’m Tony Jordan and I support Jo Ann Hardesty for Portland City Council Position 3. 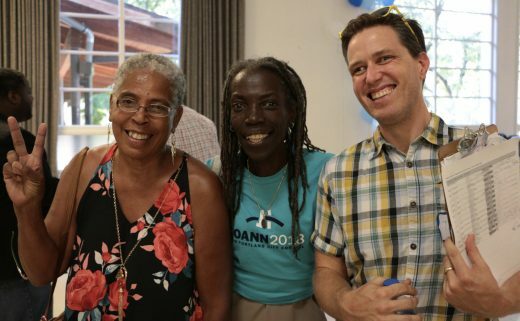 I’ve been active in the housing and transportation political scene for many years and I think Jo Ann has the integrity, resolve, and lived experience to help Portland earn its celebrated position at the vanguard of progressive and sustainable cities. Posted on April 27th, 2018 at 12:25 pm. Mayor Ted Wheeler supports an ODOT megaproject that invests hundreds of million of dollars in more of this. 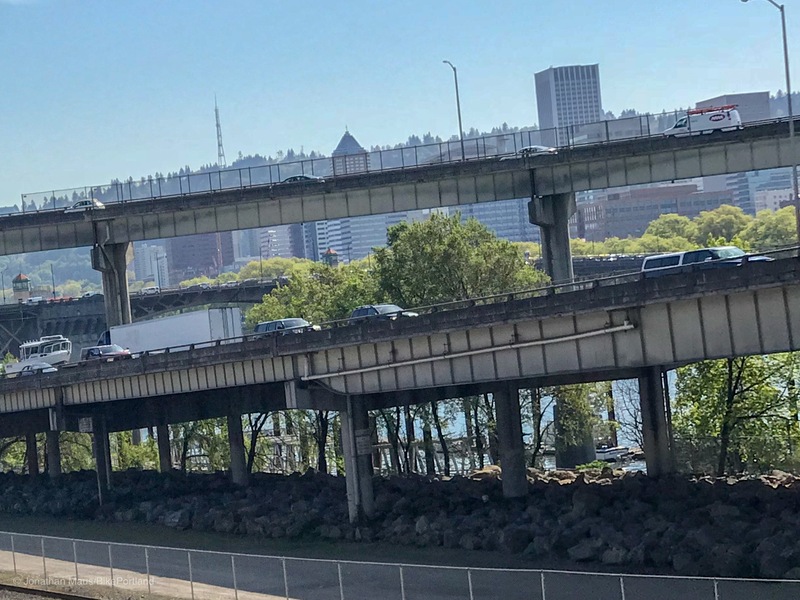 When it comes to transportation, recent statements from Portland Mayor Ted Wheeler paint a confusing picture of the future. On one hand, Wheeler seems to understand the urgency of climate change. On the other hand, he supports the I-5 Rose Quarter project that adds lanes to a freeway to improve driving conditions in our central city. 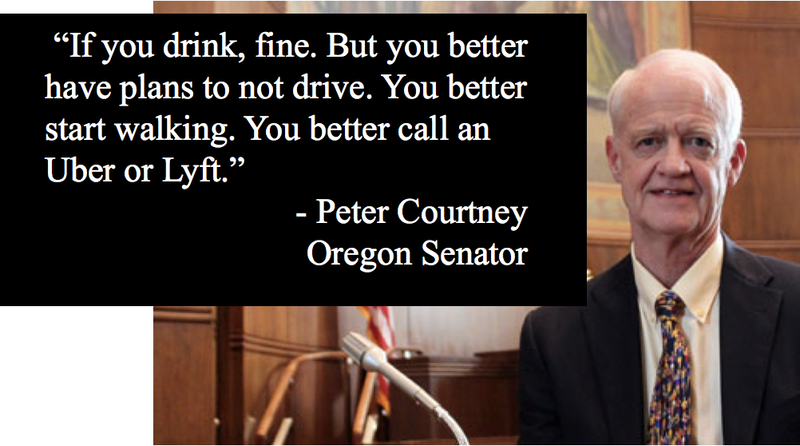 On one hand, he understands that the future of transportation is in flux. On the other hand, he supports single-occupancy vehicle use — a form of urban transportation whose time has long since passed. Confused or simply wrong, Wheeler — someone who is ostensibly a progressive — is on the wrong side of this issue.